Big Money hates Trump. There is a long history between Big Money and the Donald. Big Money never thought much of him as a business man or otherwise. In order to make sure Trump has absolutely no chance of winning, Big Money will push indices higher between now and the election. I expect a slow grind upward. I don't expect any correction until Hillary is elected on November 8. What happens to financial markets and the republican party after the election is not clear at all. It could get nasty if there is no clear and final resolution to the election, similar to what happened in 2000. 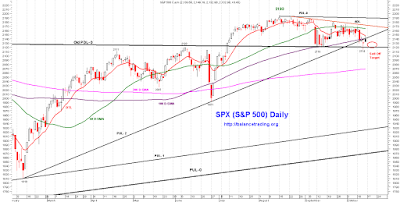 Chances are high that selling continues this coming week as SPX tests its Old PDL-0 and AUL around 2115. If those supports hold, I expect a rally to test SPX all time high. 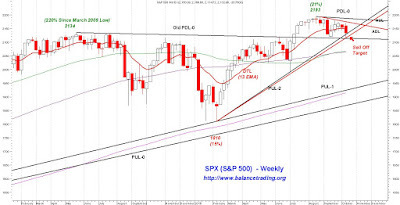 I expect a test of Old PDL-0 sometime this week around SPX 2115 to 2110. 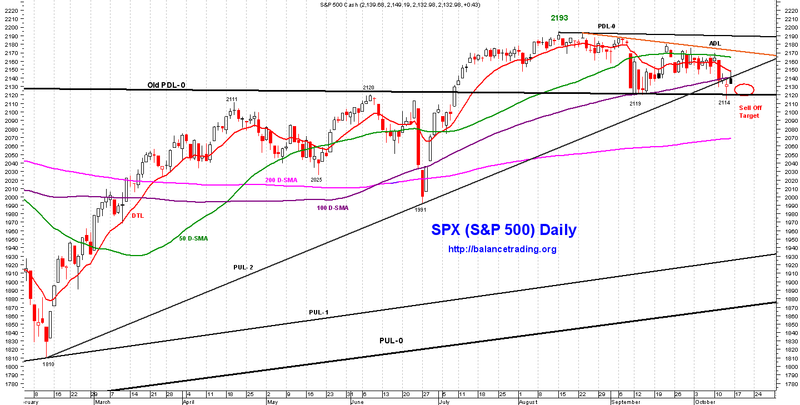 My plan to do my first buy of three buys around SPX 2115 sometime this week.